The very expression Åbo Båtvarf gives the yachtsman a sense of sailing, summer and safety. (Frisk Bris 3/1937). 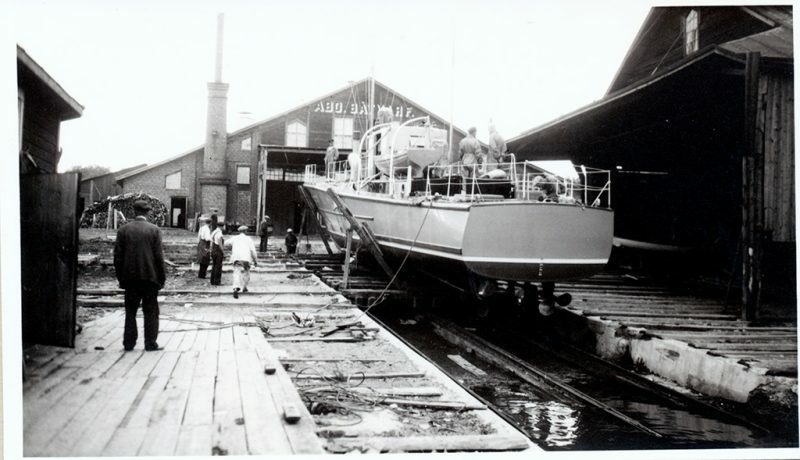 The Åbo Båtvarf (Turun veneveistö), which operated in 1889-1954, was the biggest boatyard in the Nordic countries and a major player throughout Europe. Altogether over 5 000 boats were built at the yard. 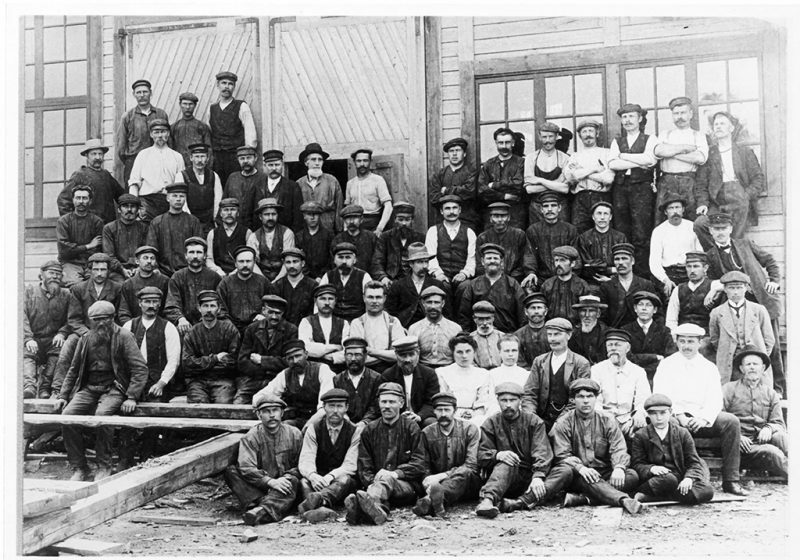 The number of employees varied between twenty and two hundred over the years. The range of production ranged from rowboats and lifeboats, over gunboats and torpedo boats, all the way to luxurious pleasure yachts. 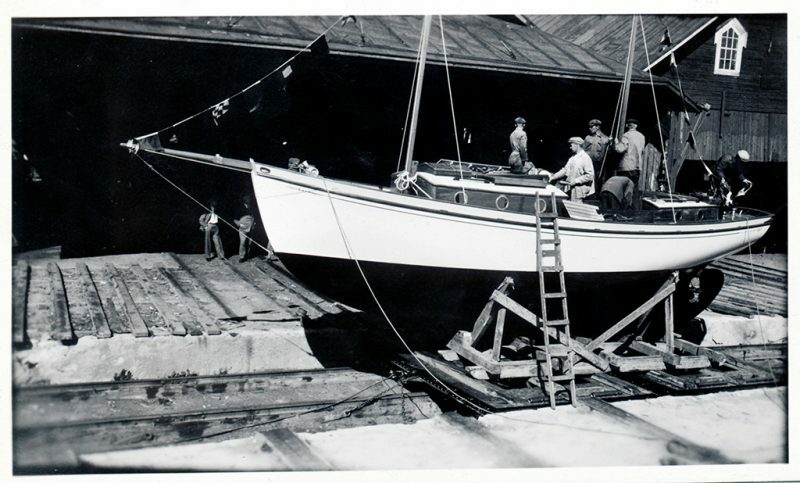 The activities of the Turku boatyard have played a significant role in the development of pleasure boats and racing yachts in Finland. Boats from the Boatyard have been sailed by well-known industrialists, statesmen and royalty. 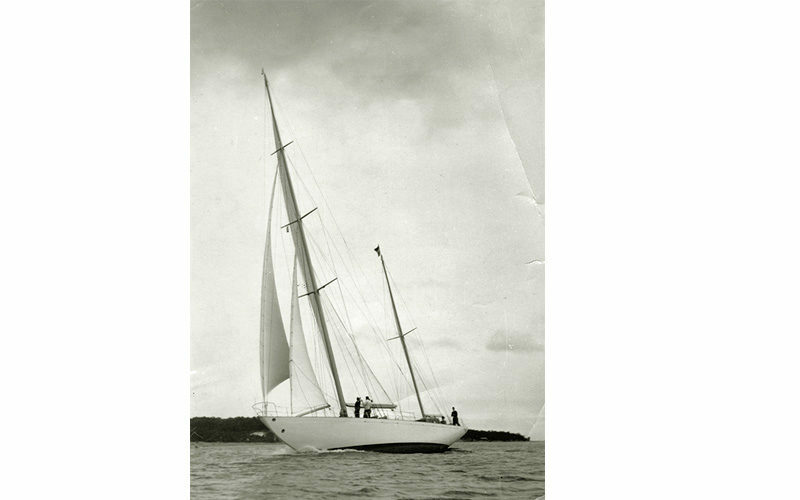 The loyal clients of Åbo Båtvarf were at the forefront of Finnish sailing, participating in the most important yacht races of their times, in domestic waters and on foreign shores. Yachts from the Boatyard have shown their flags in the Olympics and in the Gold Cup regattas. 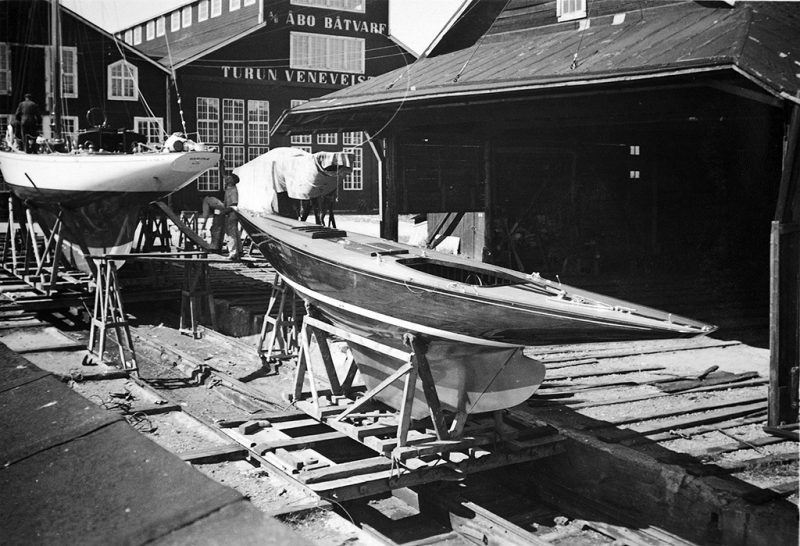 To this day, boats built at Åbo Båtvarf have remained treasures to their owners, who invest their time and labour into keeping the specimens shipshape and in mint condition. The fame of Åbo Båtvarf extended above national boundaries. Its products were exported to the Russian elite, to demanding European yachtsmen, and all the way to the United States and South America. 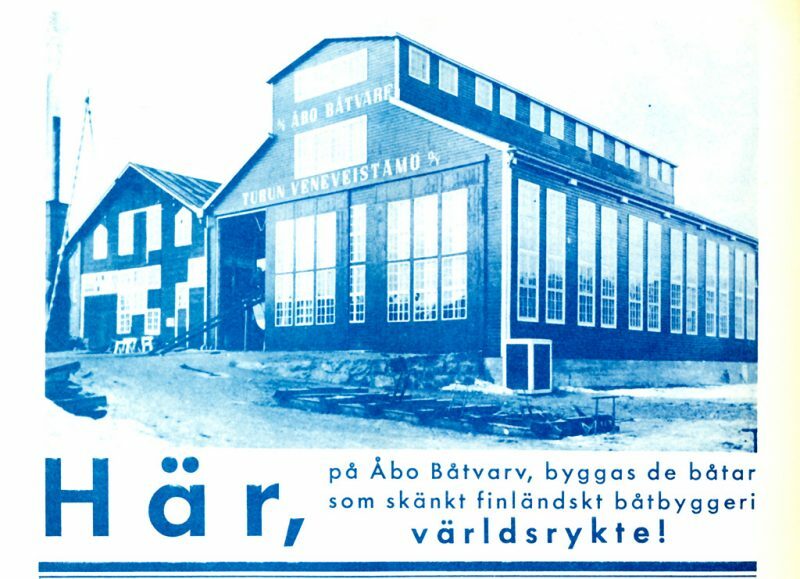 In the 1930’s, Åbo Båtvarf was one of the most famous Finnish brands in the world. Some orders were received for large series of one-design yachts. For example, several series of Hai (Shark) boats were built for France (called Requin) and for Maine, USA. 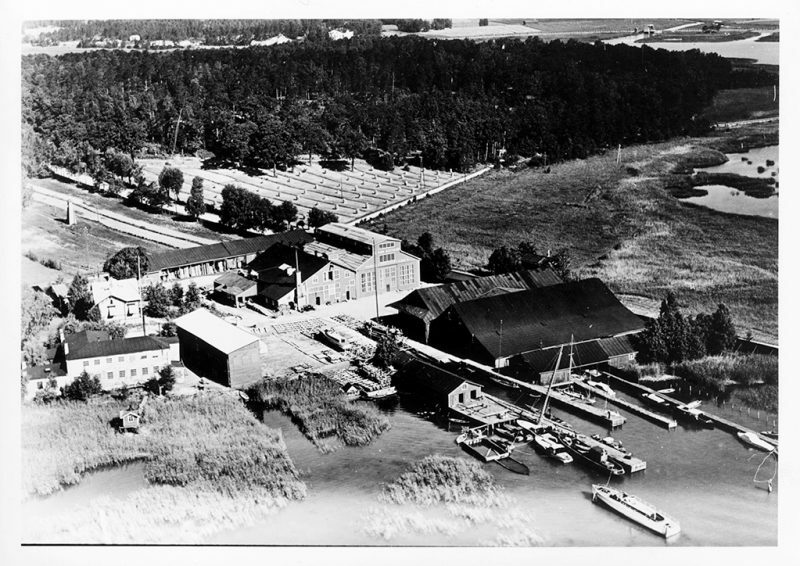 The boat building operations in Ruissalo ended in 1954, although the original company name was still used for decades to manufacture boats elsewhere. After the demise of the yard, the Turku Port Authority bought its buildings for port docking and repair operations. Click here on this PDF to see what Åbo Båtvarf looked like in 1937, what was happening in the various buildings then, and what is going on nowadays. 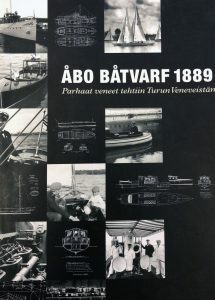 The book published on Åbo Båtvarf in 2011 provides a comprehensive overview of the production of the boatyard in its entirety. 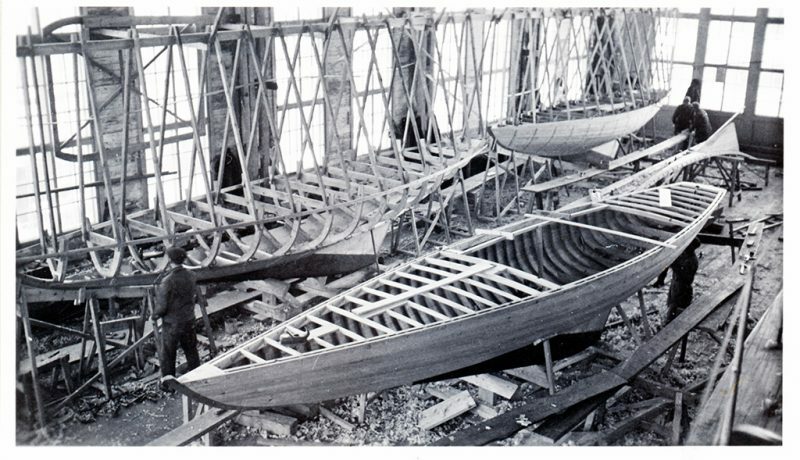 In addition to the beautiful boats, the work highlights Finnish industrial history and the people who influenced the unique success of the boatyard. About the co-authors: Jarmo Saarinen is the amanuensis of Forum Marinum in Turku. Pirkka Leino is a teacher of history and a non-fiction writer who in his previous works has covered the history of Finnish sailing. Click on the cover of the 270-page book to browse the full story of Åbo Båtvarf. (Currently in Finnish, soon to be published in English).